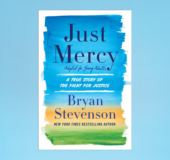 In this young adult adaptation of the acclaimed bestseller Just Mercy, which the New York Times calls "as compelling as To Kill a Mockingbird, and in some ways more so," Bryan Stevenson delves deep into the broken U.S. justice system, detailing from his personal experience his many challenges and efforts as a lawyer and social advocate, especially on behalf of America's most rejected and marginalized people. AS SEEN ON CBS THIS MORNING! Copyright © 2014 by Bryan Stevenson. All rights reserved. No part of this excerpt may be reproduced or reprinted without permission in writing from the publisher.